We see this time and time again when someone wins a jackpot in online casinos. In fact, in the interview that follows players often say that they’ll spend their newly found fortune on a trip around the world. And Gate777 Casino understands that everyone dreams of exploring some part of the world at one point or another. So White Hat Gaming decided to capitalise on this big dream and created Gate777 Casino. With it’s easy to navigate interface, excellent welcome bonus, travel theme and VIP club. Everyone is curious to know what this new success train has to offer. Does it have all your favourite games? Does Gate777 Casino also have excellent promotions for second and third-time depositors? Well to find out, continue reading this casino review. So if you decide to claim Gate777 Casino’s welcome offer, you’ll potentially have the chance to play with £400. Plus, whatever profits you’ll make from the 25 Free Spins you’ll play on Starburst by NetEnt. But, Gate777 Casino knows that not everyone has £200 to put on entertainment in one night. So, the minimum deposit is only £20 to activate the offer. A £20 deposit means that you’ll play with £40. Plus, whatever you’ll win on Starburst. The first depositor’s bonus is a 100% Matchup offer up to £200 + 25 Free Spins on Starburst. There wagering requirements of 35x applicable on both the bonus and the winnings from the Free Spins. You’ll need to complete the bonus turnover within 7 to 35 days. Well, depending on the offer you’ll claim. After claiming Gate777 first bonus, you’ll immediately become eligible for the second, third and fourth deposit offers. In essence, the three bonuses have a combined value of £800 and give up to 75 Free Spins in total. The bonus percentage depends on the offer you claim. But it varies between 50% and up to 25%. The bonus spins of the second, third, and fourth bonuses are on NetEnt games (Aloha, Fruit Shop, and Gonzo’s Quest). To claim any offers, you can use, MasterCard, Visa, and PayPal (etc. ), but not Skrill or Neteller. 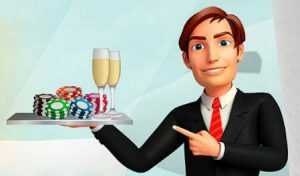 What’s important to know about Gate777 Casino and the Bonuses? While it might be tempting to place large wagers when playing with a casino bonus. It’s worth keeping in mind that Gate777 Casino has some restriction in place. In fact, players who claim any of the offers above will be limited to bets of £5 (or less) per spin. This is a common practice by operators nowadays which limits the game’s exposure. But even if max bets are becoming a standard amongst many brands. It’s worth keeping this in mind to stay out of trouble. Because Gate777 Casino is part of White Hat Gaming Network, they frequently release new slot games. In fact, White Hat Gaming is a powerful content aggregator with a Network that allows them to ink many deals with emerging game studios. So if you’re seeking diversity in your gameplay, this UK casino is a good place to start your journey at.